Located at the amazing Aria Resort & Casino on the Las Vegas Strip, Alibi Ultra Lounge invites all to enjoy custom & creative cocktails handcrafted by master mixologists. A popular lounge area for relaxing, or good crowd during sporting events, enjoy an artistic cocktail program designed for unwinding, carousing, and mingling. Alibi Lounge is an intimate hangout open to the public. 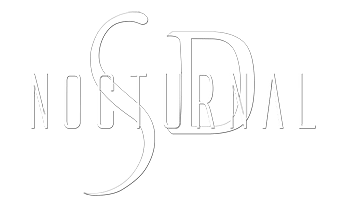 During large sporting events, it can become crowded so you should consider VIP Bottle Service, and you can use our VIP Bottle Table Service Discount code “NOCTURNALSD” any day or night of the week. The Ultra Lounge Alibi is usually open all day and night Monday through Friday. Alibi Vegas will host sporting events on large TV’s that wrap around the Lounge, every seat is a good spot. Check out all Alibi Event updates HERE! ALIBI Ultra Lounge at Aria sets the scene with classy elegance paired with modern luxury. If your planning on reserving a table for bottle service be sure to use promo code “NOCTURNALSD” when you purchase your Alibi VIP Bottle Table Service HERE! There are so many things to do in Las Vegas you don’t have enough time to do them all. 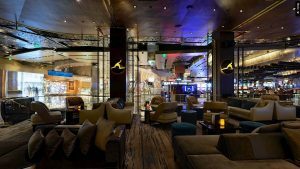 Whether you’re staying at the Aria Resort or just passing through, stop by Alibi Ultra Lounge to celebrate your Birthday, Bachelor Party, or Bachelorette Party in Las Vegas. 3730 S. Las Vegas, Blvd.